All items will be wrapped and bagged for pick-up. Alternatively, we can arrange items on an eco-friendly platters and bowls for an additional fee of $15.00, based on a minimum of 6 pieces per platter. A traditional working man’s lunch. Wedges and slices of our best seasonal cheeses and charcuterie. Served with baguette, butter, and house made pickles. A selection of seasonal soups. Please enquire about availability. Served in pint or quart size, to be reheated before serving. Individual sized hand pies and galettes. 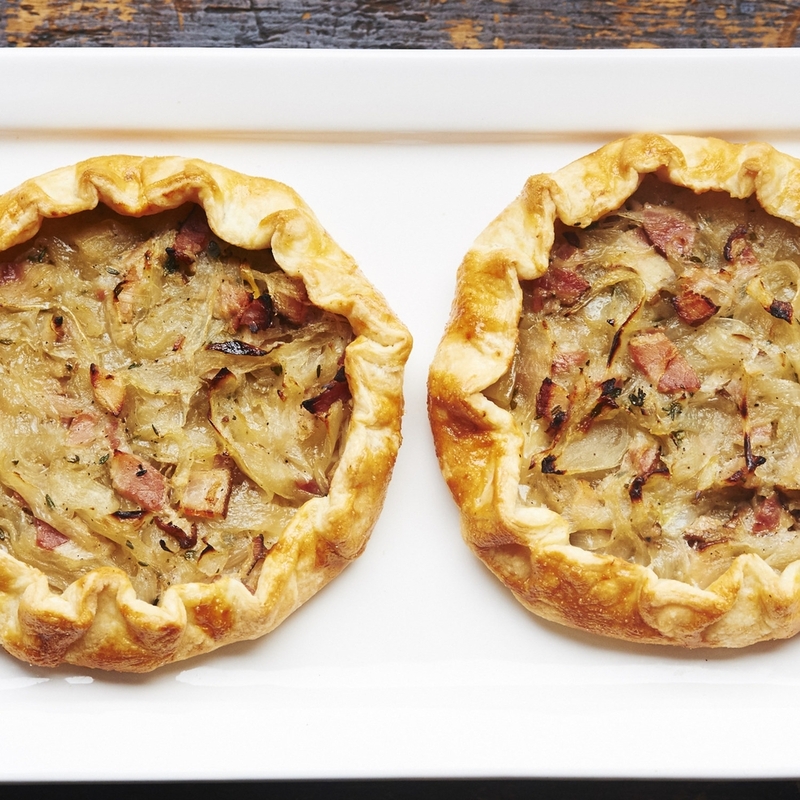 Please enquire about large sweet and savory galettes. Served in a Talbott & Arding lunch bag, ready for an afternoon picnic, outing or train ride. Select a sandwich, drink, seasonal fruit, and 2 cookies. Alternatively, we can arrange items on an eco-friendly platters and bowls for an additional fee of $15 per platter. Other sandwiches, as well as gluten-free options, are available upon request. 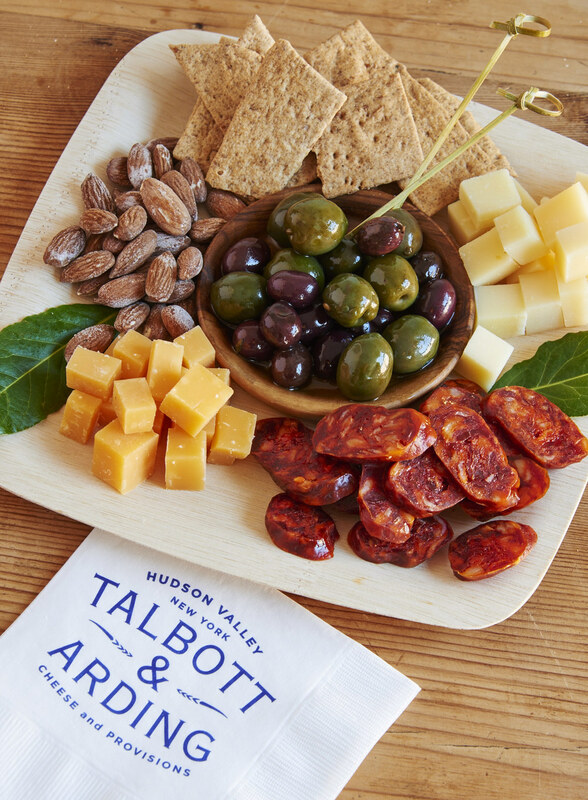 Talbott & Arding offers a wide selection of appetizers and hors d’oeuvres beautifully arranged on eco-friendly wooden platters. Customers are welcome to provide their own platters. 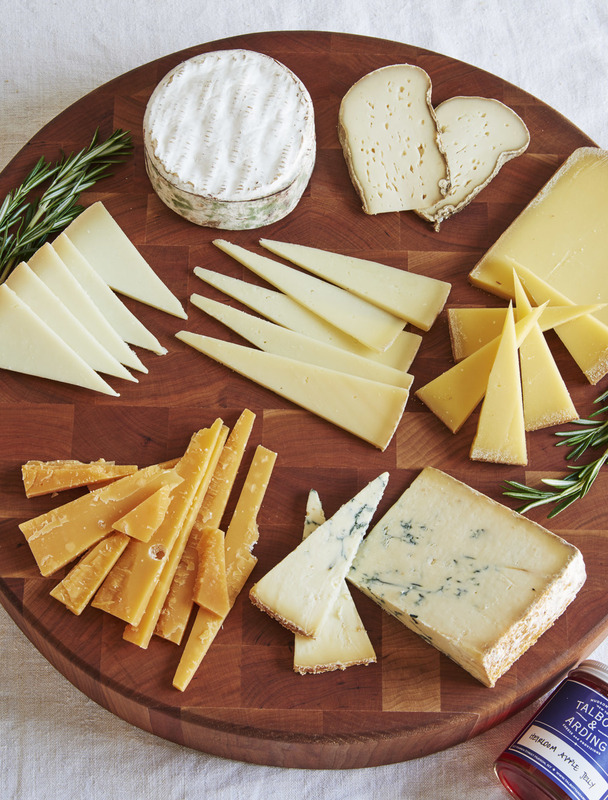 Our expert cheesemongers will work with you to create a custom cheese platter with accompaniments for any occasion. The cheese selection, generously portioned, will always reflect a diversity of flavors, textures and seasonality. Each cheese is labeled with its name and place of origin. This platter features an assortment of charcuterie, house made pâté, rillette, and cured ham. These are accompanied by pickled vegetables and mustard together with an assortment of Talbott & Arding crackers and biscuits selected to compliment the flavors of the charcuterie. 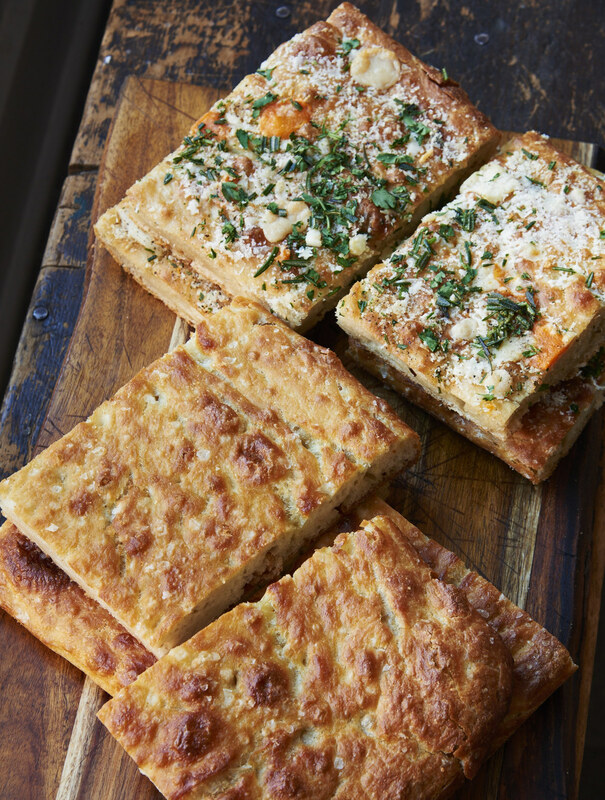 Select two of our house made spreads to accompany baguette toasts, crackers, and focaccia. Choose from: chicken liver pâté, duck rillette, salmon rillette, trout rillette, pimento cheese or hummus. Comes with a wooden spreader. Additional jars can be ordered individually. A seasonal vegetable platter served with either our house made Bayley Hazen Blue cheese dip, carrot cumin dip, yogurt and chive or hummus. The pot pies and macaroni & cheese come in reheatable containers. Small sizes serve 1-2, Large serves 2-3. Please enquire about larger portions. All natural, free range from Northwind Farms, stuffed with lemon and thyme. Top round roast cooked medium rare. Grass fed beef from Kinderhook Farm. Attractively boxed. Also available on an eco-friendly platter for an additional cost of $15 per platter. Cakes are available in a loaf (serves 4-6) or in a 9 inch round (serves 8). Individual puddings and custards are served in 4 ounce jars.